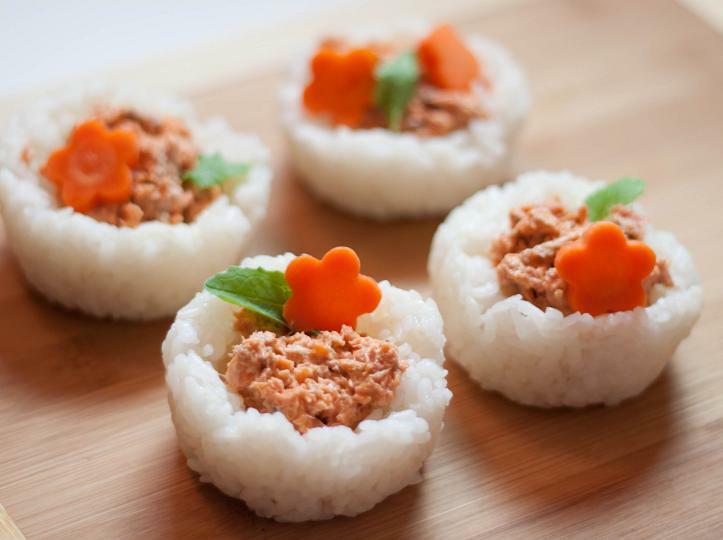 It's easy to make sushi cups. Just line a small cup(column shape is desirable) with plastic wrap. Put sushi rice on the cup and push with plastic wrap to shape.